The team of Lerner and Loewe was one of America’s greatest musical theater songwriting collaborations. This musical theater team consisted of the composer Frederick Loewe (1901-1988) and the librettist and lyricist Alan Jay Lerner (1918-1986). Lerner and Loewe wrote nine musicals together from 1942 to 1974. Their five major musicals Brigadoon, Paint Your Wagon, My Fair Lady, Gigi, and Camelot, written one after the other, were produced both on the stage and screen, and their songs were some of the most popular and financially successful ever written. Each received numerous Tony, Oscar, and Golden Globe award nominations, winning a total of 13 times while working together. Alan Jay Lerner was born into a Manhattan family, attended the Juilliard School of Music, and graduated from Harvard College where he began his career in musical theater. He wrote several of the books and screenplays for his award-winning musicals. His lyrics were marked by warmth and "civilized urbanity", coupled with the highest order of craftsmanship, oftentimes agonizing for weeks at a time over a single lyric. He won 8 Oscars, Golden Globes, and Tony Awards, for best book, best screenplay, best song, or best musical score. He also received the Kennedy Center Honors and the lifetime Johnny Mercer Award in Lyric Writing, both in 1985. Fritz, as Frederick Loewe was called most of his life, was born in Berlin, studied the piano at an early age, and at the age of 16 won the Amsterdam Medal for the best young concert pianist in Europe. In 1923 he and his parents, classically trained performers, travelled to the United States to perform, and decided to stay. Fritz worked several piano jobs, including at a German beer garden and as a Broadway rehearsal pianist, and in 1937 he composed the music for his first musical Great Lady. Musically, Fritz Loewe was all about flowing melodies and classical chords, and many of his greatest songs would undergo several key changes during their very melodic scores. He won 5 Oscars, Tonys, and Golden Globes for Best Original Song or Best Original Score, and was inducted into the Songwriter's Hall of Fame in 1972. The Lerner and Loewe partnership started as described by Lerner in his ​1978 autobiography The Street Where I Live: "One day late in August of 1942, I was having lunch in the grill [of the Lambs Club in Manhattan] when a short, well built, tightly strung man with a large head and hands and immensely dark circles under his eyes strode to a few feet from my table and stopped short. His destination was the men's room and he had gone the wrong way. He turned to get back on the right road and suddenly saw me. He stared for a moment. I knew who he was. His name was Frederick Loewe, Fritz to the membership, a Viennese-born, ex-concert pianist and a talented, struggling composer. He came to my table and sat down. 'You're Lerner, aren't you?' he asked. I could not deny it. 'You write Lyrics, don't you?' he continued. 'I try,' I replied. 'Well,' he said, 'would you like to write with me?' I immediately said, 'Yes.' And we went to work." The results were electrifying. As one reviewer wrote, "Loewe's melodious brilliance along with Lerner’s rich lyrics always produce 'a smile on my face'." Lerner and Loewe had a back and forth songwriting collaboration. As he would write the libretto, Lerner would have an idea for a song at an appropriate spot and provide Loewe with a song title. Based only on this title, Loewe would immediately begin composing melodies until he hit upon a tune both agreed with. Only then would Lerner begin his arduous lyric writing process based on the Loewe melody. Brigadoon, producing the song standard "Almost Like Being in Love", was Lerner and Loewe's first hit Broadway musical winning one Tony award and eight years later receiving 3 Academy Award nominations as a film. The 1951 Broadway musical Paint Your Wagon produced the standard "I Talk To the Trees" sung by Clint Eastwood in the 1969 film version. The 1956 Broadway musical My Fair Lady was an amazing phenomenon producing the hit songs "I Could Have Danced All Night" and "On The Street Where You Live", and running for six years straight. It made more money than any other musical to date, and has been called the most successful musical ever, receiving 9 Tony nominations and winning 5 of them including Best Musical. Eight years later as a film it won 8 Oscars including Best Picture. Their next musical, Gigi, written for film, won the Oscar for best picture and, six years later as a Broadway musical, the Tony for best musical. In 1960, their last hit Broadway production, Camelot, produced the standard "If Ever I Would Leave You", won 4 Tony Awards, and seven years later as a film, 3 Academy awards. This streak of award winning productions matched the success of Rodgers and Hammerstein in the 1950's. Fritz Loewe retired after Camelot in 1960, returning in 1973 for one last effort in composing music for the last Lerner and Loewe production The Little Prince (1974), and rewriting songs for a stage version of Gigi. There is actually a CD available with Lerner singing and Loewe playing all of their The Little Prince compositions – a rare recording of Lerner and Loewe performing together. 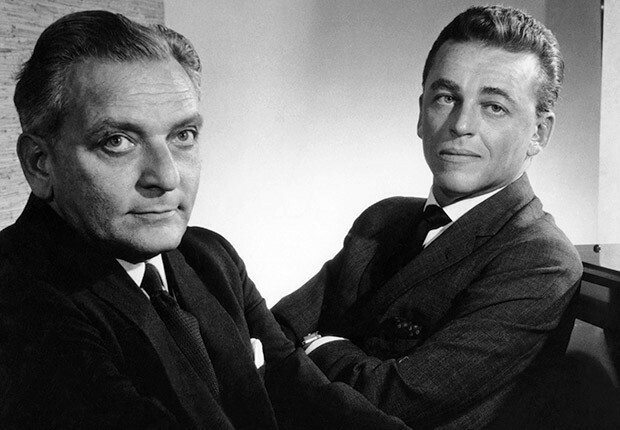 Even though Frederick Loewe retired, Alan Jay Lerner continued to write lyrics and librettos for the rest of his life most notably with Burton Lane, Charles Strouse, Leonard Bernstein, Andre Previn, and John Barry. He also wrote the 1978 autobiography The Street Where I Live. Lerner and Loewe remained good friends until their deaths two years apart, Lerner in 1986 and Loewe in 1988.